Jonny Baker is part of Grace, an alternative worship community in west London (England), and is a coordinator for worship at the Greenbelt Festival. He frequently blogs on what he calls "Worship Tricks," creative prayers, ideas, flash movies, and such for use in worship. Some are better than others, as one would expect, but looking through them can help to spark ideas even when the particular "tricks" you're looking at don't fit the particular circumstances and style of your congregation. Heal Your Church Website should be required reading for all church webweavers. It gets a little technical at times, but it provides excellent advice on both design and content. Posts there have been infrequent of late, but the archives are well worth browsing. You'll also find some helpful tools, like the (free!) Email Obfuscator, which allows you to post 'email me' links on your site without exposing you to the full onslaught of spam such things usually bring. OK, time to get serious about this page, where I'll be posting about resources (most of them free) that you and your congregation might find helpful. 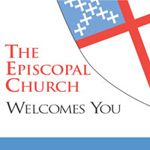 This glossary of church terms from the website of Trinity parish in North Scituate, Rhode Island, makes a great link from a parish website. It's amazingly complete for a volunteer enterprise ... I'm impressed! As I was writing a letter to a friend who's thinking of building his first website, I found myself thinking that what I was saying may be useful to a broader circle of people. I've started a new page of tech tips, and its first entry is my advice for beginners (and parishes or other organizations that need beginners to be able to help keep their site up-to-date) who want to build a site that's useful, attractive, and easy to maintain. Enjojy! This section of the site is still very much under construction. Please check back frequently for updates! I get a lot of questions about the Bible, so I've built a Scripture FAQ, where you'll find common questions and answers, along with recommendations for resources.